If you have three you have three, if you have two you have two and if you have one you have none. What am I? 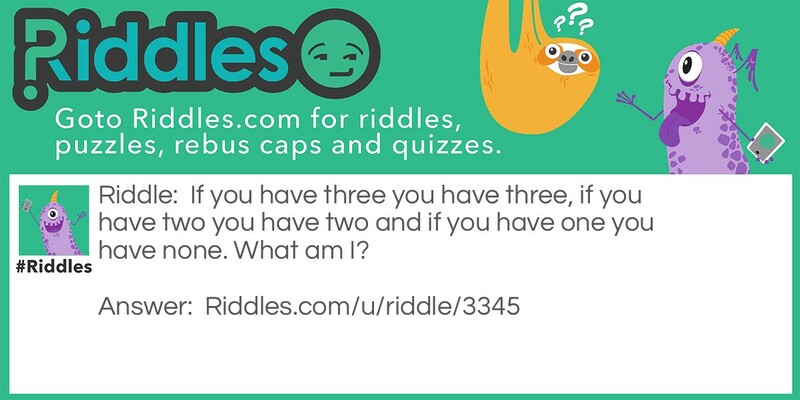 wts dt Riddle Meme with riddle and answer page link.